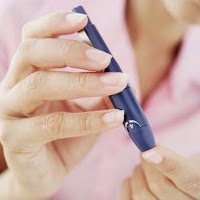 India is the diabetic capital of the world with more than 62 million individuals currently diagnosed with the disease. People with diabetes are nearly two times more likely to die from heart disease than people without diabetes. They also run a much greater risk of acquiring diseases related to the kidney, eyes and nerves amongst other dangerous ailments. On the occasion of World Diabetes Day, National Awardee, President of Heart Care Foundation of India and Sr. National Vice President of the Indian Medical Association – Dr KK Aggarwal discusses how Type 2 diabetes can be delayed or prevented, and both Type 1 and 2 diabetes can be managed to prevent complications. According to him, when suffering from Type 1 diabetes, the patient’s body does not produce insulin. On the other hand in Type 2 diabetes the body does not make or use the produced insulin well. Women during pregnancy often suffer from gestational diabetes, which usually goes away after the birth, however makes both the mother and child at risk of developing Type 2 diabetes later in their lives. The incidence of Type 2 diabetes is on the rise amongst young people in our country, the primary reason for this is the faced paced stressful lives each one of us is living today. Unhealthy diets, potbelly obesity, dependence on alcohol, lack of exercise are all leading causes of this growing trend. He further feels that by losing a modest 15 pounds weight through diet and exercise can actually cut a person’s risk of getting type 2 diabetes by as much as 58 percent. In patients suffering from Type 1 diabetes, tight control of blood sugar can prevent diabetes complications. He concluded by stating that up to 11% of total healthcare expenditure in every country across the globe could be saved by tackling the preventable risk factors for Type 2 diabetes and over 70% of type 2 diabetes cases can be prevented or delayed by adopting healthier lifestyles. *Talk with your family about your health and your family’s risk of diabetes and heart disease. *If you smoke, seek help to quit. *Make lifestyle changes to reduce the risk of acquiring diabetes and its complications — for yourself, your families and for future generations.